What is the purpose of a column guard barrier? 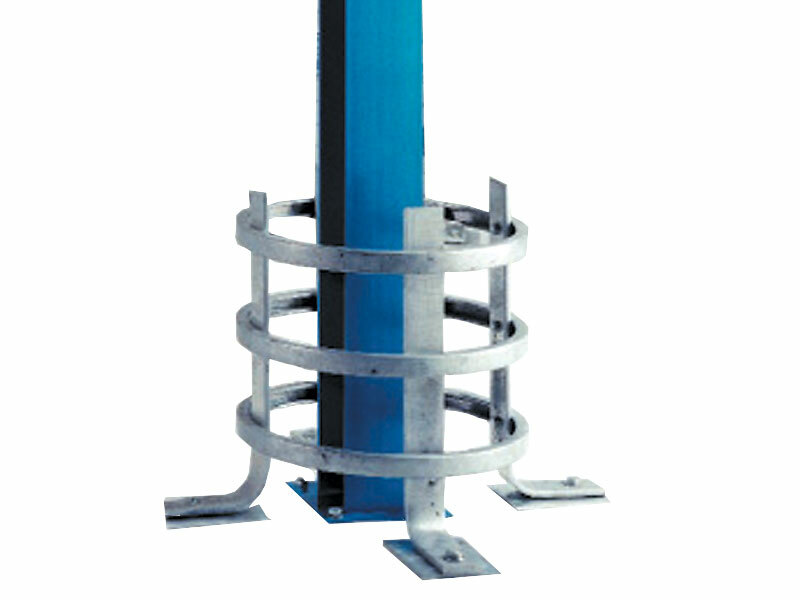 A column guard barrier is a heavy duty, spring steel column protection device. The purpose of this product is to protect columns and pillars from accidental collisions caused by passing vehicles or other moving objects. For example, if a forklift truck is manoeuvring around a site where there are free-standing columns in place, then it may accidentally connect with the column causing damage to the column itself. In worst case scenarios, where the column is a structural support for the building or it is a part of racking, then the knock could lead to worse damage such as; the structural security of the building being threatened, or the products stored on the shelving to become dislodged and unstable which may lead to them falling off and becoming a safety hazard for people working in the area. By having a column guard barrier in place, it provides a buffer for any collision that could be made. The column protector takes the impact of the crash so that there is minimal or no damage done to the column at all. The column guard is a tool which protects columns and posts and therefore protects workers and the building where the columns are in place. Where can a column guard barrier be used? 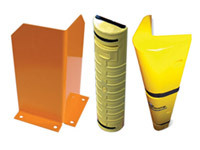 A column guard barrier is a perfect product for protecting columns and posts. It can be used in a number of locations where columns and racking is present and in need of extra security. For example, a warehouse has lots of racking for storage of stock and tools, and the structure of a warehouse often involves columns and posts. As well as this, there are a lot of mobile vehicles and trolleys being used, which could easily come into contact with a supporting pillar. This knock could be fatal for the building and for the workers operating the equipment so it is essential to make sure that warehouse rails are installed to stop these accidents occurring. The product is light weight and is therefore suitable for locations where the incidents and collisions may only be small, and may just be between small vehicles, such as trolleys, and a pillar. They would be perfect for small spaces with lots of columns where anyone or anything moving around the area will have to travel slowly, so therefore any accident will be minor. The product is a heavy duty column protection unit made from galvanised steel and uses springs for maximum protection. It is a light weight rail, which is suitable for light impacts. The product is silver in colour with four vertical parts which are secured to the floor by bolts. The bolts are not included in the purchase. There are circular rings which connect the parts which are secured to the floor. The Workplace Depot offers a standard one year guarantee on all products and labour.